Estimating the cosmological microwave background is of utmost importance for cosmology. 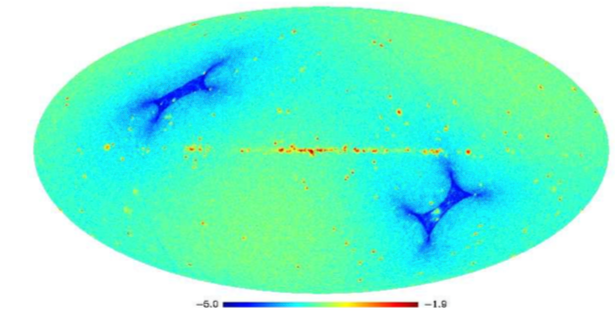 However, its estimation from full-sky surveys such as WMAP or more recently Planck is challenging: CMB maps are generally estimated via the application of some source separation techniques which never prevent the final map from being contaminated with noise and foreground residuals. These spurious contaminations whether noise or foreground residuals are well-known to be a plague for most cosmologically relevant tests or evaluations; this includes CMB lensing reconstruction or non-Gaussian signatures search. Noise reduction is generally performed by applying a simple Wiener filter in spherical harmonics; however this does not account for the non-stationarity of the noise. Foreground contamination is usually tackled by masking the most intense residuals detected in the map, which makes CMB evaluation harder to perform. In this paper, we introduce a novel noise reduction framework coined LIW-Filtering for Linear Iterative Wavelet Filtering which is able to account for the noise spatial variability thanks to a wavelet-based modeling while keeping the highly desired linearity of the Wiener filter. We further show that the same filtering technique can effectively perform foreground contamination reduction thus providing a globally cleaner CMB map. Numerical results on simulated but realistic Planck data are provided.